IBPS Common Recruitment 2017- 14192 Nos. Officers (Scale-I, II & III) and Office Assistant (Multipurpose) Posts in RRBs- CRP RRBs VI. - Jobs4NE : Jobs in Assam and North East India. IBPS Common Recruitment 2017- 14192 Nos. Officers (Scale-I, II & III) and Office Assistant (Multipurpose) Posts in RRBs- CRP RRBs VI. 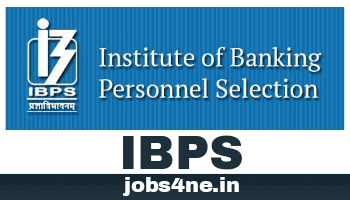 Institute of Banking Personnel Selection (IBPS) invites Online Application for the recruitment of 14192 Nos. Officers (Scale-I, II & III) and Office Assistants (Multipurpose) in Regional Rural Banks (RRBs)- CRP RRBs VI. The online examination for the next Common Recruitment Process for RRBs (CRP RRBs VI) for recruitment of Group “A”-Officers (Scale-I, II & III) and Group “B”-Office Assistant (Multipurpose) will be conducted by the Institute of Banking Personnel Selection (IBPS) tentatively between September and November 2017. The interviews for recruitment of Group “A”- Officers (Scale-I, II & III) under the same process will be coordinated by the Nodal Regional Rural Banks with the help of NABARD and IBPS in consultation with appropriate authority tentatively in the month of December 2017. Starting Date of Online Application: 12-07-2017. Last Date of Online Application: 01-08-2017. Date of payment of Application Fee: 12-07-2017 to 01-08-2017. Total no. of posts: 14192 Nos. No of post: 7374 Nos. No of post: 4865 Nos. No of post: 1746 Nos. Scale of pay: Rs.25700- 25700/-. For Office Assistant (Multipurpose): Bachelor’s degree in any discipline from a recognized University or its equivalent. b. Desirable: working knowledge of Computer. For Officer Scale-II General Banking Officer (Manager): Bachelor’s degree in any discipline from a recognized University or its equivalent with a minimum of 50% marks in aggregate. Preference will be given to the candidates having degree in Banking, Finance, Marketing, Agriculture, Horticulture, Forestry, Animal Husbandry, Veterinary Science, Agricultural Engineering, Pisciculture, Agricultural Marketing and Cooperation, Information Technology, Management, Law, Economics and Accountancy. Two years as an officer in a Bank or Financial Institution. For Officer Scale-II Specialist Officers (Manager) Information Technology Officer: Bachelor’s degree from a recognised University in Electronics /Communication / Computer Science / Information Technology or its equivalent with a minimum of 50% marks in aggregate. Desirable: Certificate in ASP, PHP, C++, Java, VB, VC, OCP etc. One year (in the relevant field) Chartered Accountant Certified Associate (CA) from Institute of Chartered Accountants of India. For Officer Scale- III (Senior Manager): Above 21 years - Below 40 years i.e. candidates should not have been born earlier than 03.07.1977 and later than 30.06.1996 (both dates inclusive). For Officer Scale- II (Manager): Above 21 years - Below 32 years i.e. candidates should not have been born earlier than 03.07.1985 and later than 30.06.1996 (both dates inclusive). For Officer Scale- I (Assistant Manager): Above 18 years - Below 30 years i.e. candidates should not have been born earlier than 03.07.1987 and later than 30.06.1999 (both dates inclusive). Upper age of relaxation for SC/ ST Candidates is 05 years, for OBC Candidates is 03 years & for PWD Candidates is 10 years. Application Fee: For SC/ ST/ PWD/ EXSM candidates is Rs. 100/- and for all others candidates is Rs. 600/-. Candidates have the option of making the payment of requisite fees/ intimation charges through the ONLINE mode using Debit Cards (RuPay/ Visa/ MasterCard/ Maestro), Credit Cards, Internet Banking, IMPS, Cash Cards/ Mobile Wallets by providing information as asked on the screen. How to Apply: Interested candidates can apply online through IBPS website: http://www.ibps.in on or before last date.